MCL has a new PhD student, Ye Wang, in Fall 2015. Let’s give him a warm welcome! Ye received M.S. degree from Peking University and B.S. 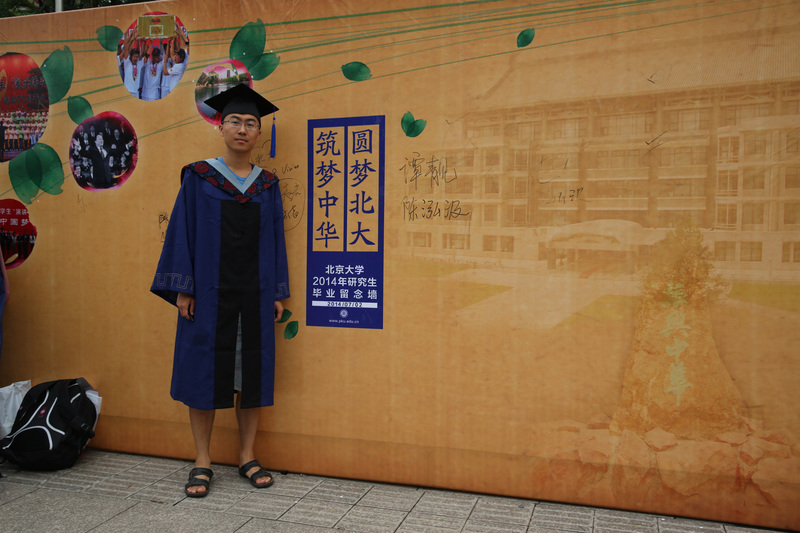 degree from Xi’an Jiaotong University in 2014 and 2011, respectively. He joined MCL to pursue his PhD degree in Fall 2015. We had a briefly interview with him. My previous research field focuses on semiconductor fabrication and test, especially in GaN enhancement mode MOSFET. In 2012 I had a wonderful opportunity to participate in a 3-year project in ‘National Science and Technology Major Project 02’. In the meantime, I published two IEEE journal papers and three top conference papers as well as an invited conference paper. Since arriving at USC, I have heard more and more about computer vision and machine learning, which are always my keen interest that I haven’t got chances to learn before. Therefore I really appreciate Prof. Kuo for giving me this opportunity to study in MCL and explore more in this exciting area. USC has a beautiful campus, and Trojans are like a big family with great diversity. Since MCL is a very large group, I was curious about how Prof. Kuo could guide so many students. However, when I became a member of this group, I finally understand the way Prof. Kuo inspires the students and how they all work together closely and efficiently. Moreover, their passion for research, self-discipline and sound knowledge in this field make me feel really lucky to join MCL. To tell the truth, I am completely new to computer vision and machine learning. I feel really lucky that my fellow students in the group are all patient to answer a lot of questions from me. I will definitely work hard and hope to contribute to MCL in the future. I wish that in the near future, the MCL group and myself would have a solid standing in the computer vision community and contribute to the improvement of this field.